4 State Trailers is delighted to be your source for Coose Trailers in northeast Oklahoma! Coose is a family-owned business that opened its doors in 1978. Over 40 years later, they still produce hardworking trailers in Lockwood, Missouri. 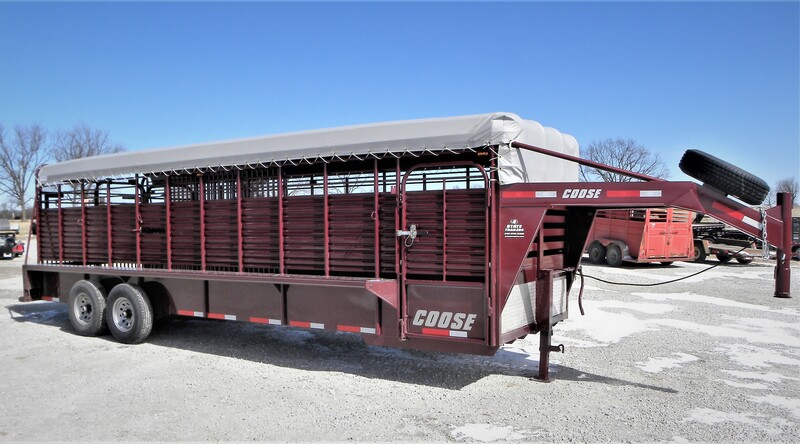 At Coose, they build stock trailers, and only stock trailers, and that is why they are one of the best steel stock trailers your money can buy! 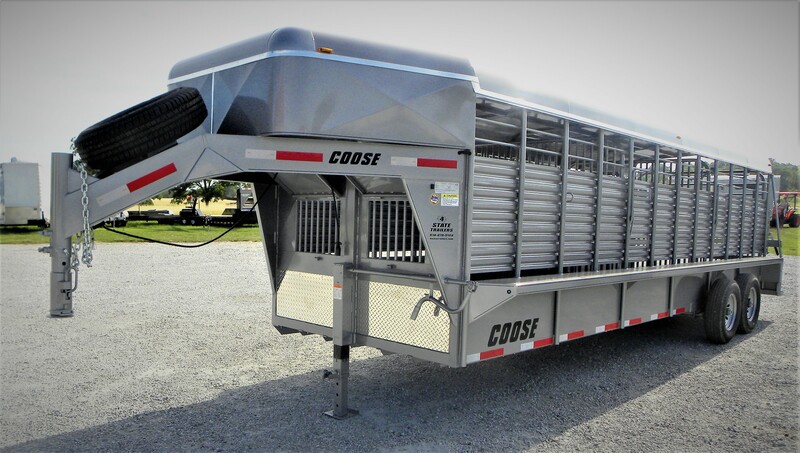 Coose has several patented latch designs including their exclusive Gate-N-Gate, and slam latch on the rear butterfly gates as well as on the sliding portion of a full swing rear gate. 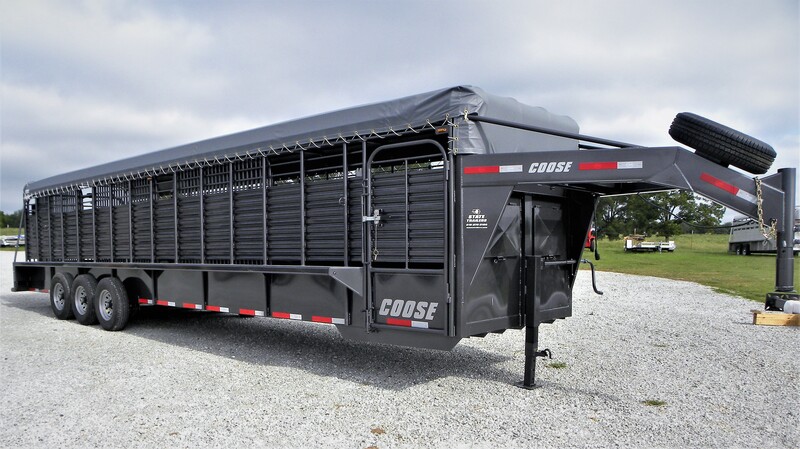 They have been building trailers for a long time, and have a very well thought out design to make your life and job of cattle handling easier than ever before! With their expertise, NATM compliance, quality materials, and detailed craftsmanship, you can rest assured that your Coose trailer will hold up over the long haul! Using a superior high solids urethane paint and primer from PPG with painstaking attention to surface prep and detail, Coose has the nicest finish in the steel stock trailer market. 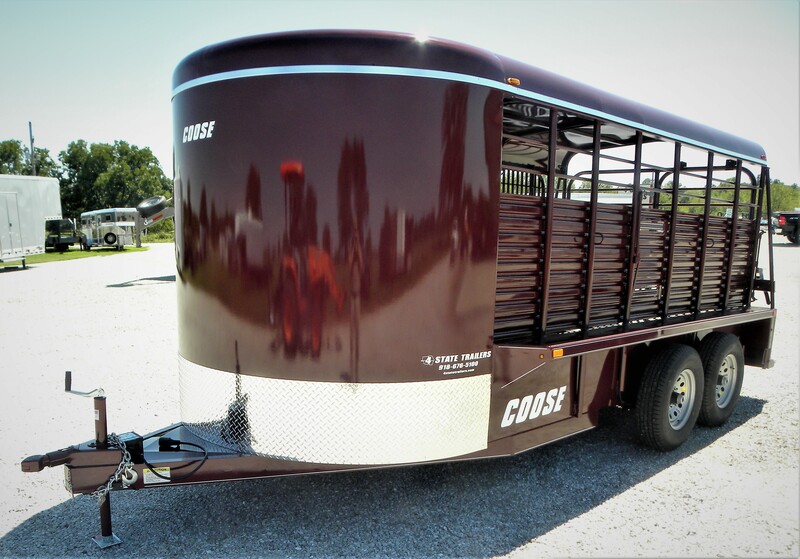 Stop by today to discover the Coose difference for yourself at 4 State Trailers! Also, click on the logo below to visit their website!